Hi all. 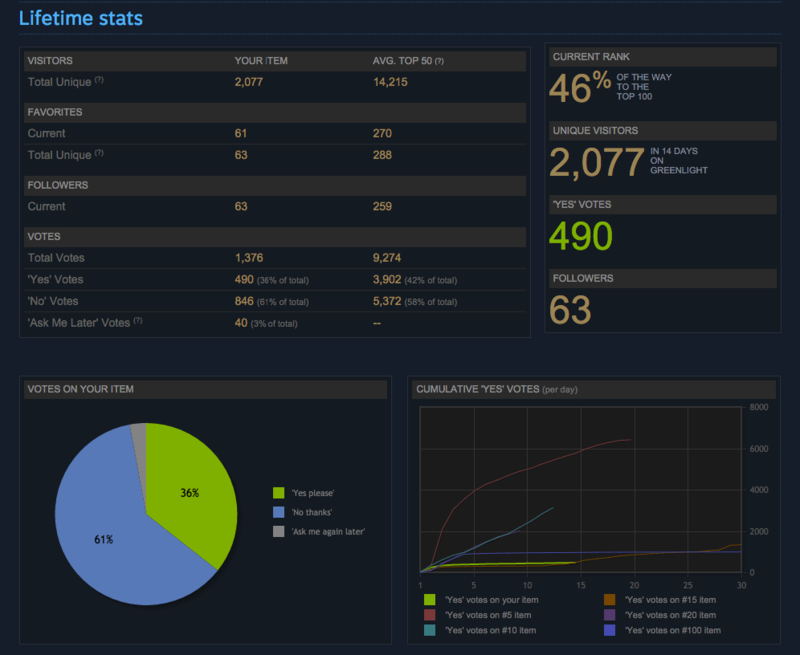 We have some good progress on Steam. We are up to 46% on our way to top 100 and our proportion of Yes votes is now increased because we are only getting a targeted visits. We really appreciate how everyone is helping to rally up the votes. Thank you all so much. Keep up the good work and keep sharing.